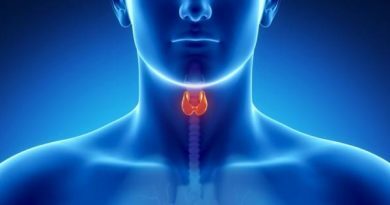 Thyroid Guide – Thyroid Function Test: The thyroid gland plays a very important metabolic role in our body. It controls metabolism and other body functions. The thyroid gland also maintains normal body temperature and heart rate. If the thyroid gland no longer functions as it should, one’s appetite and digestive system will be affected. The thyroid gland is located in the middle of the neck. It helps with the body’s muscle and bone development and the functions of the nervous system. This is basically the reason why one’s health is at risk if they are experiencing, or suffering from, thyroid problems. Thyroid Function Tests are the different tests conducted to assess and determine the cause of an individual’s thyroid problems. These tests are done for physicians to be able to determine which thyroid problem an individual is suffering from. At times, the body may produce too much or too little thyroid hormones which may result to either hypothyroidism or hypothyroidism. Thyroid function tests include T3 test, T4 test and the TSH test or thyroid stimulating test. These tests are done to check an individual’s thyroid functions. Thyroid function tests are normally conducted by getting blood tests from a patient suspected to be suffering from a thyroid problem. A person who is suspected to be suffering from thyroid problems will undergo a series of tests. Thyroid Function tests vary depending on the symptoms an individual feels. 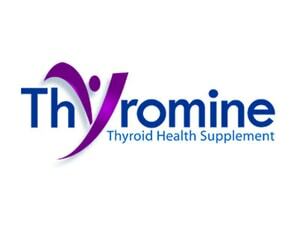 Tests may include T3, T4 or TSH, thyroid stimulating hormones. These tests will be conducted by taking blood. The blood tests will be assessed and are able to show the thyroid functions of an individual. Once the thyroid functions are gauged and are proved to be either overactive or underactive, the physician will provide a diagnosis and may either run more series of tests or provide proper treatment. T3 test or Triiodothyronine – These are thyroid hormones that circulate in the blood and are believed to be responsible for a number of biological actions. When one undergoes this test, the body is checked to see if it has enough of this thyroid hormone. T4 test or Tetraiodothyronine, Thyroxine – These are thyroid hormones that circulate in the blood primarily bound to protein molecules. One may also undergo a T4 test to check if the thyroid gland has produced enough thyroxine in the body. TSH test or Thyroid Stimulating Hormones – Thyroid stimulating hormones are produced by the pituitary gland in the brain to tell the thyroid to release more thyroid hormones into the blood circulation of the body. This is one of the thyroid function tests an individual goes through if one is suspected of having thyroid problems. After any of these tests are conducted, thyroid functions will be interpreted by a physician. A physician can then detect the specific thyroid problem an individual may be suffering from. The physician will then provide medication or surgery depending on how severe the thyroid problem is. August 18, 2015 Donna Morgan Comments Off on What is Overt Hypothyroidism?